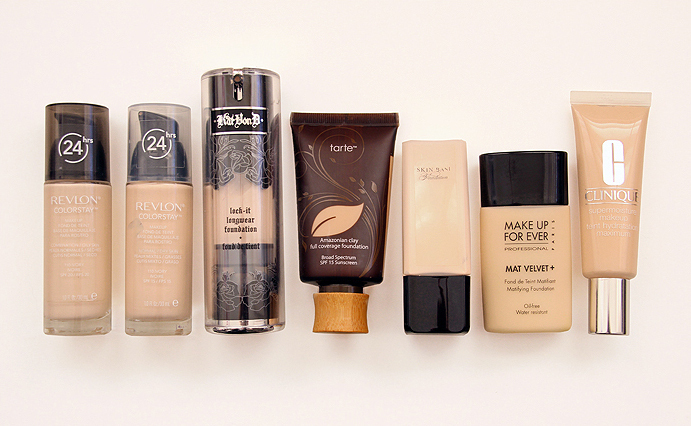 My pale pals out there will know that when trying to find a truly great pale foundation the struggle is real. If you can think of a pale foundation, I can pretty much guarantee you I’ve already tried it, tested/swatched it in a store, or read about it (in the latter case, the ingredients sucked so I stopped there). This post breaks down everything you need to know about some of my favourite (and less favourite) pale foundations that I currently own. Tarte / Revlon (Oily) / Revlon (Dry) / Clinique / Kat Von D / Make Up For Ever / Illamasqua. Photographed under natural, indirect light. Low angle to show contrast in colours. Left to right: Tarte, Revlon (Oily), Revlon (Dry), Clinique, Make Up For Ever, Kat Von D, Illamasqua. TONE: Fair skin, although I’m still undecided on whether I have more pink or yellow undertones. I’ve done the veins test and on one arm my veins are green, and on the other they are blue. Looking at my face, I can straight up say it looks like pink undertones, but my neck is slightly more yellow. This means I can go either way with foundations, but blending will be very important. 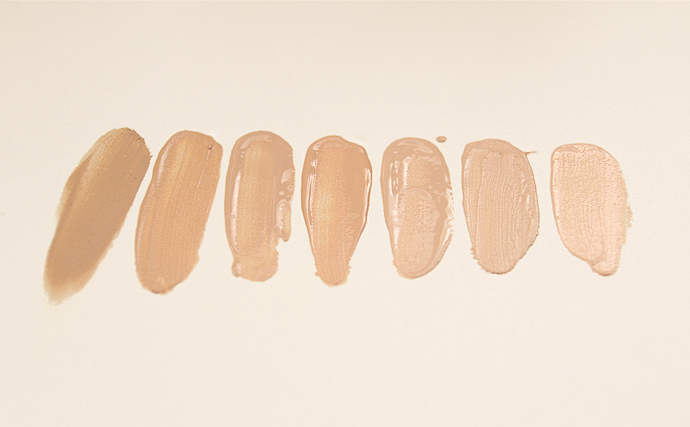 Where should you swatch your foundation on your body to figure out the right shade? Many professional makeup artists say swatch it on the neck, and I would agree with this. However, I’ve also tested on my jaw/lower cheek area and this has worked well too. Ultimately you’ll need good blending skills for whatever foundation you use to make it appear as natural as possible. Next point – this is probs gonna be a total no-brainer to some people, but I think the following is really easy to forget when we are bombarded with so many foundation colour options. Fair skin isn’t just pale pink, it has other undertones in it too like blue and green and purple (e.g. from our veins of course). Reminds me of in art class my teacher once pointed out how an oil painting of a face featured flecks of blue paint amongst the colours that made up it’s realistic-looking skin tone. Depending on our environment, the lighting, our physical state, etc. the skin on our face and neck will appear differently. So my advice is not to fret too much about finding a perfect match, but finding the tone that is most flattering to your face. The aim is not to just mask all imperfections on your face with just one shade picked out of a whole bunch from your face and neck, but pick one that improves how your skin looks – in other words, you want it to look vibrant, healthy and glowing (unless you are going for a different look which is totally cool as well!). 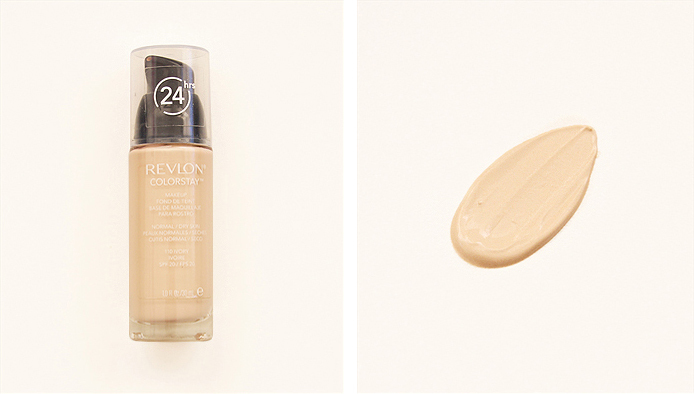 Not only that, you want the coverage, finish and overall performance of the foundation to work for your unique skin. So let’s get started! Shade: I don’t freaking know because they don’t print it on the bottle. I assume it’s the lightest. One of my more recent foundation purchases, I bought this based on colour and shade. Despite it looking the darkest in comparison to the other foundations I’m reviewing, it does not at all look this way blended on the skin – I can’t stress this enough! It has a very natural skin-like colour, and is also quite neutral in terms of pink or yellow tones, but if I had to pick one it leans towards pink. The colour of this foundation looks slightly desaturated when you swatch it on your fingers, especially when I’m used to swatching pale foundations that are really just pale yellow or pale pink (see my earlier remarks from Finding the Perfect Match). The texture is like a thick chocolate mousse, which is quite obvious just from the photo above. The way I like to apply this product is by smoothing it between my 4 fingers of both hands and patting/pressing it onto my face, then using a brush for the eye area. This product is described by Tarte as having a satin-matte finish and I would agree very much with the satin part if you’re applying to a freshly moisturised face. It settle and dries down to a more matte finish. This foundation is definitely full-coverage, but for me requires a tiny bit of building in bad areas plus a little concealer, where as on some days I can stick with foundation alone. It’s comfortable to wear throughout the day and never feels drying. Currently my go-to foundation. 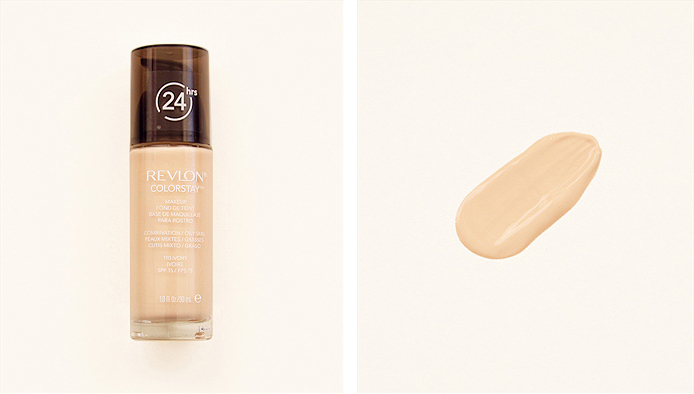 Revlon ColorStay has been a favourite foundation for a few years now*, but it certainly does not mean I am completely happy with it. 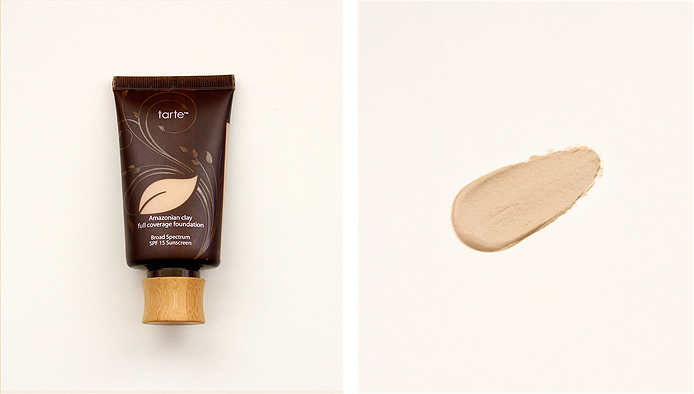 The coverage is excellent, and it applies extremely easily while covering hyper-pigmentation and blemishes. Highly pigmented so it can be built with no concealer required. The colour of the Oily Ivory tone is very slightly pinker and darker than the Dry, so for me if I do not blend it well beyond my jawline, it looks quite dark and pink against my neck. The finish looks super dewy and wet on a moisturised face and for me so I always have to set it with powder. My one major issue with this foundation is that it creases easily when you show facial expressions, e.g. it makes fine lines on your forehead if you raise your eyebrows. It has commonly been reviewed to settle into fine lines so this is no surprise, but it really is a shame. This is the foundation I always wear in my photos and videos as it looks great on camera, but with that comes the fact that it can feel quite heavy on the face, so I tend to wear it only for special occasions. *I am aware that Revlon and possibly some other brands in this post, mentioned in my blog and/or YouTube videos are tested on animals. Some of these products I started using when I was new to makeup (and didn’t do my research) and have continued to use until today completely unaware of how they are made. I’m not okay with animal testing and I have been working towards removing all products tested on animals from my makeup collection. I honestly have never noticed a difference in performance between the Oily and the Dry versions of this foundation when applied on the skin, so this will be very similar to the above review. The only differences I have to note are texture and shade. This foundation is noticeably more liquid when swatched next to the Oily version. Oily holds it’s shape when pumped, where as the Dry spreads into a puddle. As a person with dry, breakout-prone skin I find they are both effective for me, it just comes down to the colour difference. 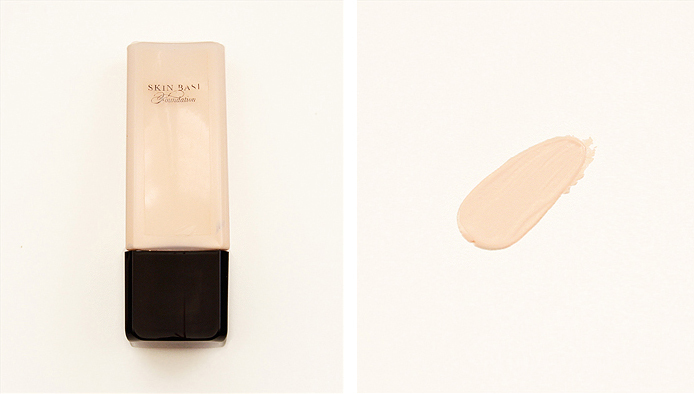 The colour of this foundation leans toward slightly more yellow undertones in comparison to the other version above. Not only that, I find it to appear less densely pigmented as the Oily version so therefore a tiny bit lighter in overall colour. I think with my pinker face and yellower neck as I mentioned earlier, this is most likely a better in-between colour for me. I highly recommend swatching both Ivory versions in a store against your neck and allowing them to dry completely. This foundation was a purchase purely for coverage and texture, not so much for paleness. I wanted to review it for those who have a similar skin type or tone as me and are looking for a light-coverage, hydrating foundation. A very moist, creamy texture, it provides very light coverage and warms my skin tone. So yes, it definitely leans towards golden yellow tones. And yup, you will notice it looks a little more yellow than you might be used to. It feels extremely hydrating on the skin and has a highly dewy finish. One little problem though is that although it’s in the lightest shade, it still requires a good amount of blending out for my slightly pinker undertones. One of my earliest pale foundation purchases, we are now moving into the very light shade zone. Occasionally I still use this foundation as it’s easy to apply and covers well, although it does require concealer. The colour has pink undertones, which shows how the bottle is quite misleading as it looks a lot more yellow than the actual product itself. The one thing that I think is misleading is that they call it “Mat”, because if you apply this to a moisturised face it is not matte. If you want a truly almost magical matte finish, try Hourglass Immaculate Liquid Powder Foundation. That stuff is like watching a science project happen on your face, it dries almost instantly like powder. 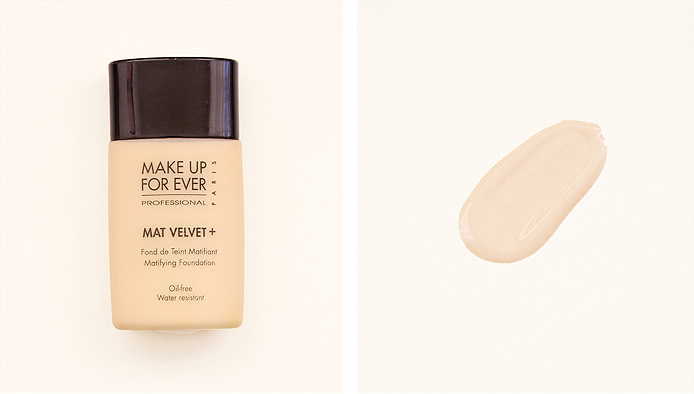 Anyway… Mat Velvet+ for me is probably more like a satin-matte finish to dewy depending on the state of my skin, provides medium coverage (buildable to full) and is overall a decent product. One of the main reasons I use this less is that I find the liquid texture combined with the packaging pretty messy. 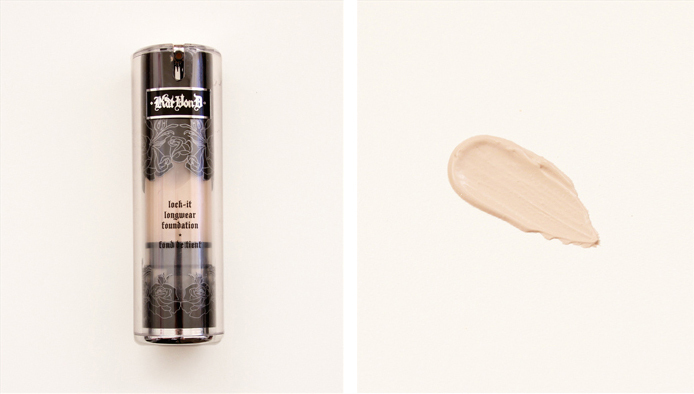 Since Kat Von D is known for having a flawless full face of makeup all the time (as well as alabaster skin of course) I figured this foundation would be great. And it did seem so for a while, although now I’ve tried so many others it’s far from my favourite (in fact I don’t even use it anymore). It has a very thick, almost sticky texture and is quite tricky to remove at the end of the day. It definitely ticks the box for being long-wearing as it claims, so this isn’t necessarily a bad thing for everyone. The shade is very light with pink undertones, clearly the 2nd lightest of all the foundations reviewed in this post, and provides full coverage. Just swatching a small amount of this foundation really shows how thick and highly-pigmented the product is. Why don’t I use this foundation anymore? Mainly because of the extremely thick texture. Nowadays I prefer something that is a little quicker and easier to apply that feels more comfortable on the face. I recommend this foundation for those who are adamant about finding that truly pale shade while achieving high coverage. *Mine is a purchase from early 2013 when it was called “Lock-It Longwear Foundation” as you can see in the photo. It’s since been renamed to “Lock-It Tattoo Foundation”. I feel like I shouldn’t even be reviewing this foundation because it was almost a mistake purchasing it all together, but let me give you the backstory. I tried it out in-store under department store lights and at the time all I cared about was PALENESS. At the time all I thought was – I am pale person. Me need pale foundation. Must be like white colour !!! So when I saw that this foundation was just one step up from the white shade, I was like YES! This should finally not look like all the too yellow or too dark foundations I’ve failed with. In the store it looked good (I’m pretty sure I only swatched it on my hand like a dingus) so I purchased it. I used this foundation for weeks until one day, I caught a glimpse of my reflection in bright natural light in a mirror across the room, and I honestly looked sickly. 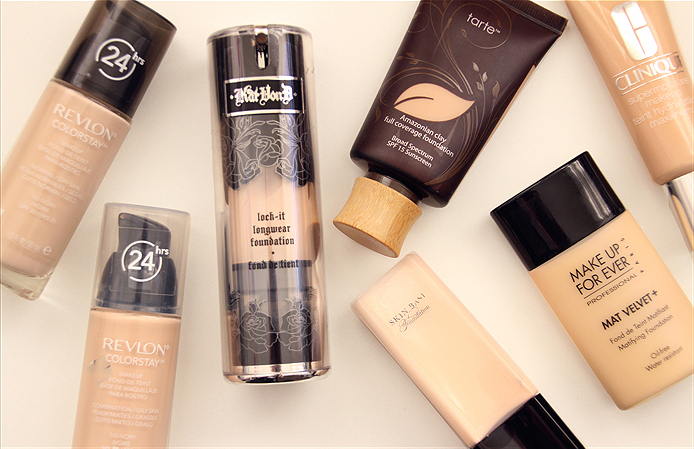 You might be thinking, “you probably needed some bronzer!” well a good foundation shouldn’t require a bunch of other products. So I stopped using it and now I keep it as a lightening supplement (which I still never use lol). But that doesn’t mean this isn’t a good pale foundation, I probably just should have chosen a shade darker perhaps? I’ve never gone back to see. I wanted to review this exact shade as a warning to you pale folk thinking your skin is as white as printer paper when it actually isn’t. In terms of performance, this would classify as medium coverage to me with a liquid texture, not particularly buildable. The stiff packaging makes this product difficult to apply onto your hands or brush, so you end up using a shaking/tapping motion. The shade is extremely pale and extremely pink. It’s like a very pale peach colour. 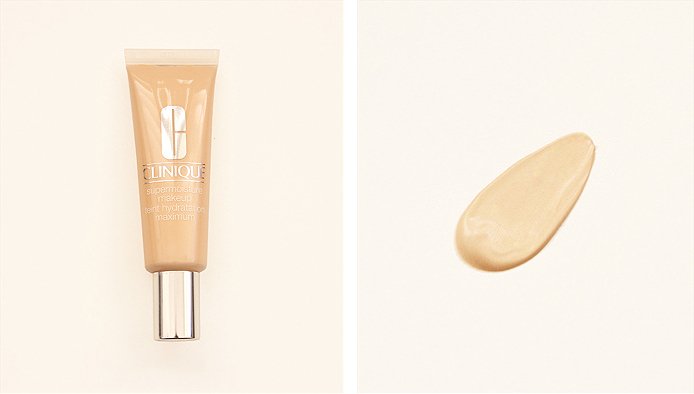 Foundation isn’t just about making your face all the one even shade, but also improving it!